Laxmi Niwas Palace is a modern day hotel with ancient architecture that brings you the beauty of royal architecture with all the modern services. Built in 2008, it has at architecture of the old Laxmi Vilas Palace which makes it even more beautiful. The appreciation from our guests and growing demand to expand the hotel Laxmi Vilas Palace got us to build the new wing with lush green gardens, peaceful surroundings, spacious rooms, mouth-watering food, wildlife, culture, and the royal touch of the legendary Jat warriors. 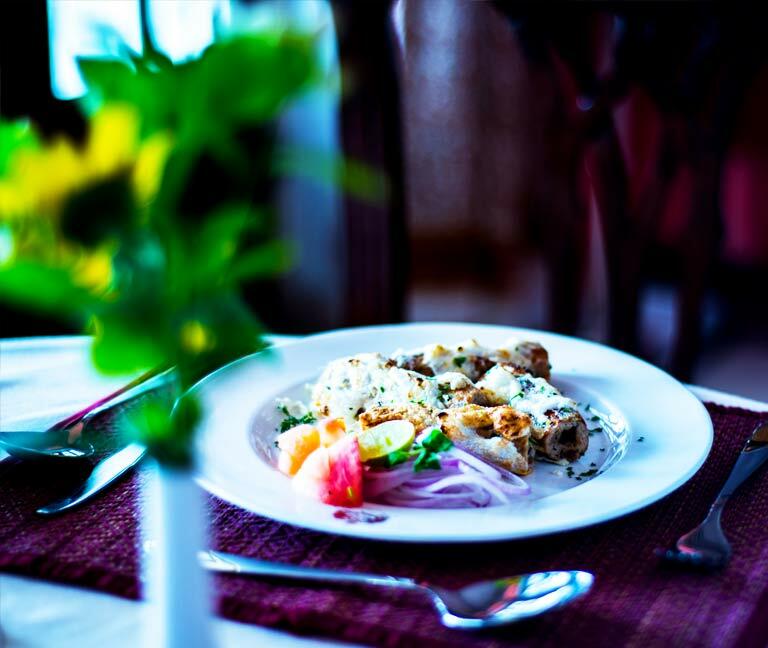 When it comes to food and dining, our priority is to redefine the dining experience for our guests. 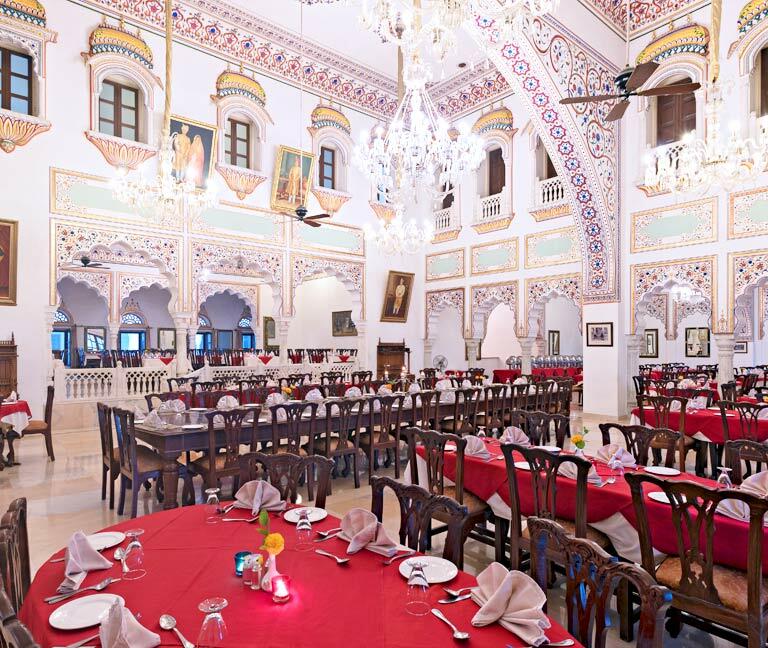 Laxmi Niwas offers a fine dining experience at A La Carte with scrumptious flavors of Rajasthani, continental, and local dishes from around the country. Indulge in fine cuisines at our restaurant to redefine your dining experience with colours, flavours, rare herbs, and exotic spices. Apart from the dining hall, courtyard dining area makes your meal even more special with your loved ones under the stars. Embellished with intricate, rich gold work, and eye-catching detailed architecture are just add-ons to the dining hall. The mild music would be a bliss while having your meal. Get the taste of real Rajasthani flavors at our A La Carte’s menu acclaimed by national as well as international travelers. Laxmi Niwas Palace is known for the beauty it holds in the lap of nature and Keoladeo National Park is one of the main attractions for the same. 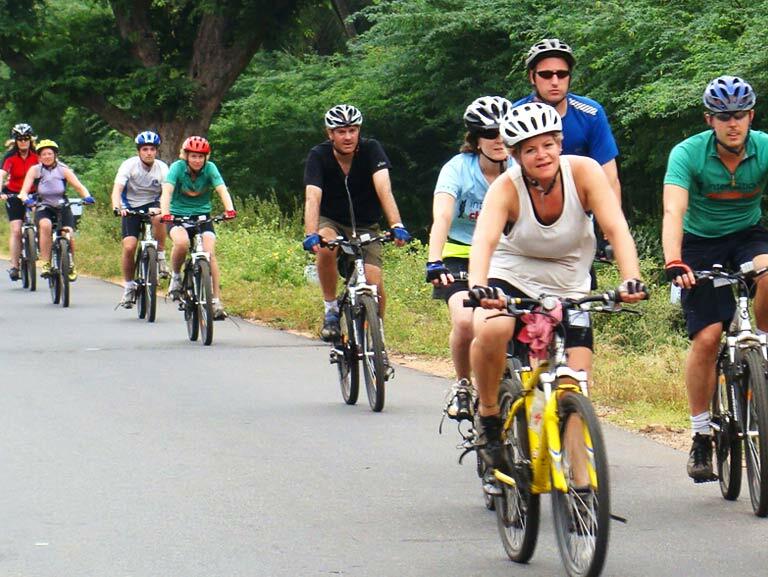 Laxmi Niwas Palace is offering a cycling tour through the nature’s lap. The national park gives a home to over 350 species of birds and is declared as a World Heritage Site. Whether you are planning a big-shot Indian wedding or a small corporate events, Laxmi Niwas Palace offers the perfect location for all the events. One can choose the event halls according to their preference, we offer elegant and spacious halls to accomodate 40, 150, and 350 people. From small get togethers to corporate meeting, we offer different options for our guests to choose from. If you are looking forward to organize corporate events, kick-off meetings, corporate conferences, team building events, or off-site meetings, Laxmi Niwas Palace offers various corporate activities for corporate clients. Get ready to host your functions in the lush green and luxe dining area. We offer a prime location for your dream wedding, from the aspect of organizational skills to presenting a flawless event, we are here to make your dream a real life event. Host a top notch corporate event or celebrate an engagement, anniversary, birthday, baby shower, or your happy moments with use. Give life to your grand celebration with Laxmi Niwas Palace and we would plan an unforgettable event for you according to your taste. We plan what you dream of with utmost love and perfection. Get in touch with us to give your dreams the wing of reality! Take a plunge into the pool while sipping your favorite drinks. Watch the sunset from the edge of an infinity pool. Spend your leisure time and take a break from the city life. Spend some quality time around the pool with your family at the poolside. 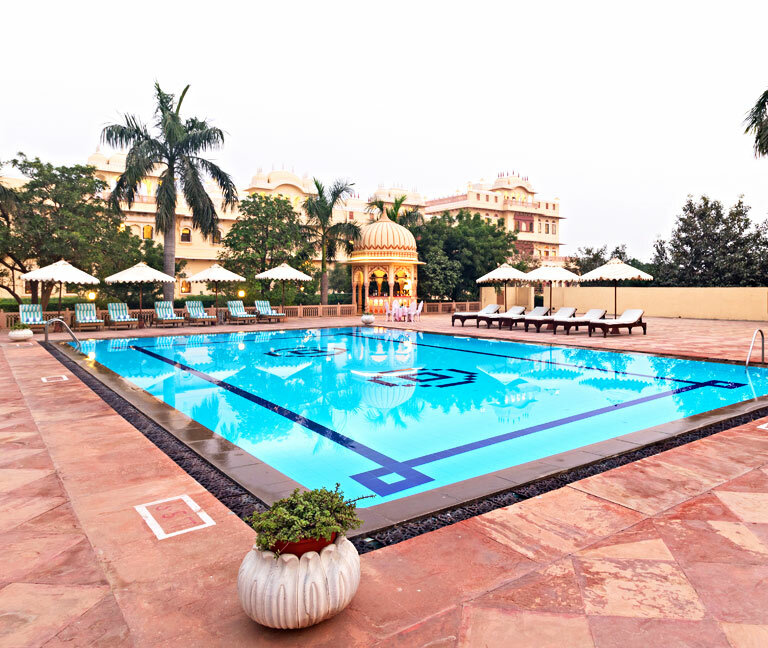 The outdoor swimming pool is an ideal place to revive your mind, body, and soak the warm embrace of sun. Spend some leisure time with a glass of wine at the billiards table. The billiard room is an adaptable space suitable for meetings as well as entertainment purpose in lavish surroundings. Make some new connections as well as give yourself a break from the monotonous life. Sink into the luxury and soothing music. 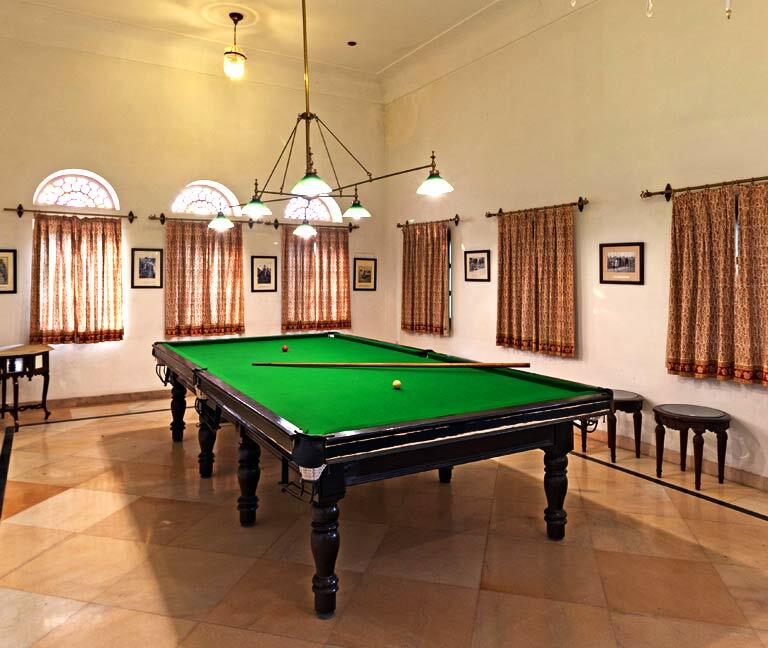 The billiards table is located near the bar which makes it accessible and a great place to spend the leisure time. So, leave behind the regular worries and make some new connection in the Billiards room. 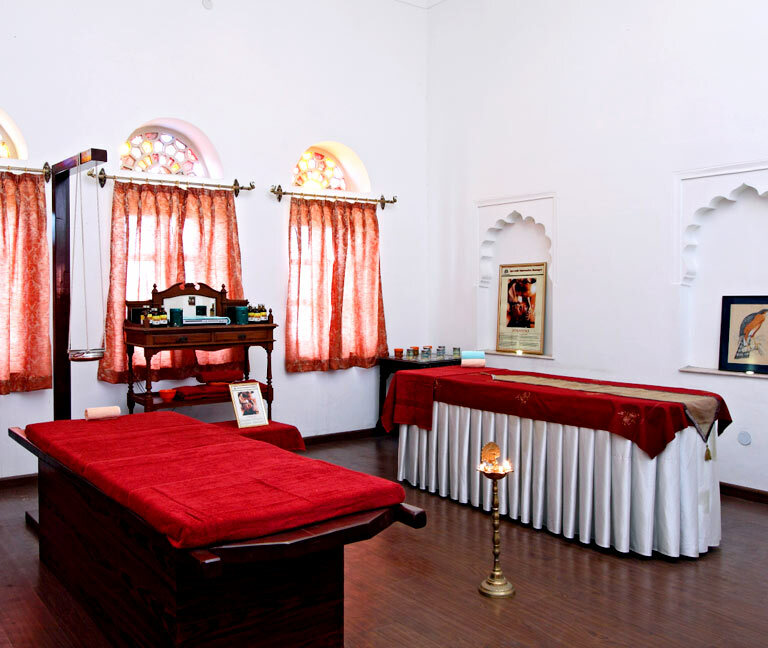 The spa and wellness centre offers various therapeutic massages and treatments in the stylish and intimate massage rooms. The expert masseurs relieve the travel fatigue with herbal oils that sink deep into the skin to calm your senses. Different types of Ayurvedic massages and essential oils help to revitalize your body, deep tissues, facials, and energize the reflexology. Look for a suitable treatment from the list. We warmly recommend the guests to book the treatment in advance. Hours of operation: 10am to 10pm, every day. For information and bookings please contact front desk. As Bharatpur lies in the golden triangle of Delhi, Agra, and Jaipur, it is a home to many travelers who travel from Agra to Jaipur. So, Laxmi Niwas Palace welcomes those travelers for lunch services. One can enjoy a buffet service in the courtyard, if they are not planning to spend a night at the palace. Different cuisines are served for the travelers who come from different places. 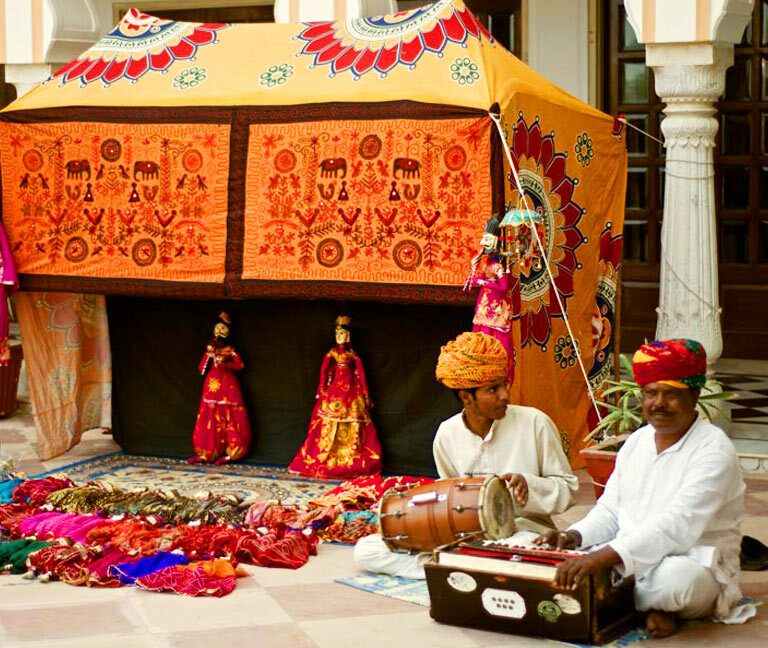 Rajasthani culture is one of the richest cultures in India and puppet show is an integral part of the culture. It is loved by kids as well as adults. Spend some quality time with your kids and family while watching the heroic tales of Indian royals. The usual timings for the puppet show is evening. The characters depict the heroes of Indian folklore. One can enjoy a vibrant and colorful evening with family while listening to the heroic royal tales. Every place you visit should have a memory to carry and this is the reason we love to give you some memories after your trip. Take some memories home from the souvenir shop. At Laxmi Niwas Palace, guests can take home a piece of place. 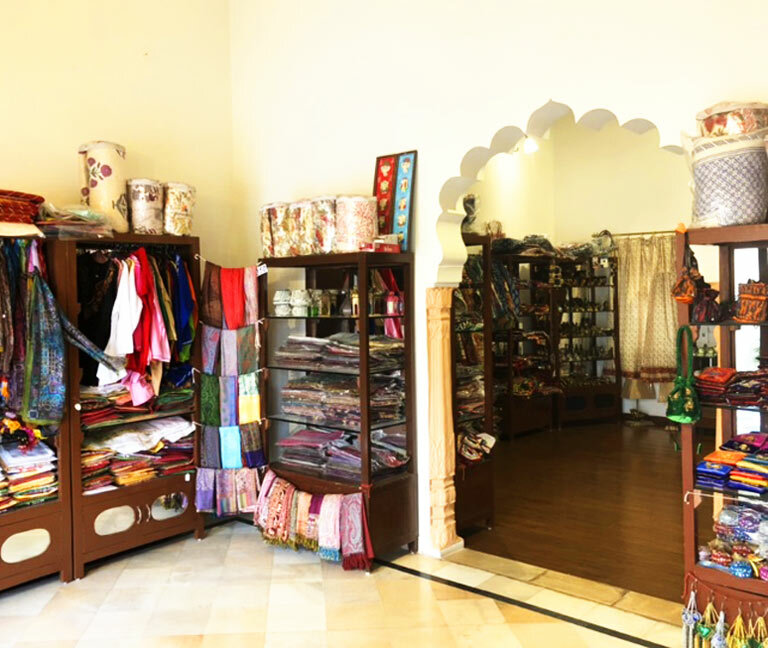 The souvenir shop offers a variety of traditional and historic souvenirs. One can get antiques bags, accessories, jackets, and other memorabilia from there. Also, jewelry, scarves, accessories would be a perfect gift for the ladies. Get a perfect gift for your loved ones from the souvenir shop.